The Samidoun Network in occupied Palestine organized an event at Bir Zeit University on 11 January 2018, on the 36th anniversary of the imprisonment of longtime Palestinian prisoner and national leader Karim Younis, who has remained in Israeli jails since that time. The event included presentations by former prisoners Fakhri Barghouthi, Abdel-Fattah Dawla and Saleh al-Sabti and focused on the cases of Karim Younis and his cousin Maher Younis, both from the village of ‘Ara in occupied Palestine 1948. The Younises are among approximately 6,200 Palestinian political prisoners in Israeli jails. The event was one of a series of seminars carried out with Dr. Abdul-Rahim Sheikh at the University and also involved the Shabiba Movement as well as the Mitras Group, which organized a public mural painting to honor Karim Younis in the university courtyard. The purpose of the event was both to honor the lengthy struggle of Karim and Maher Younis and their fellow Palestinian prisoners but also to emphasize the importance and centrality of the prisoners’ cause as part of the Palestinian struggle for liberation, particularly in an academic space and environment. 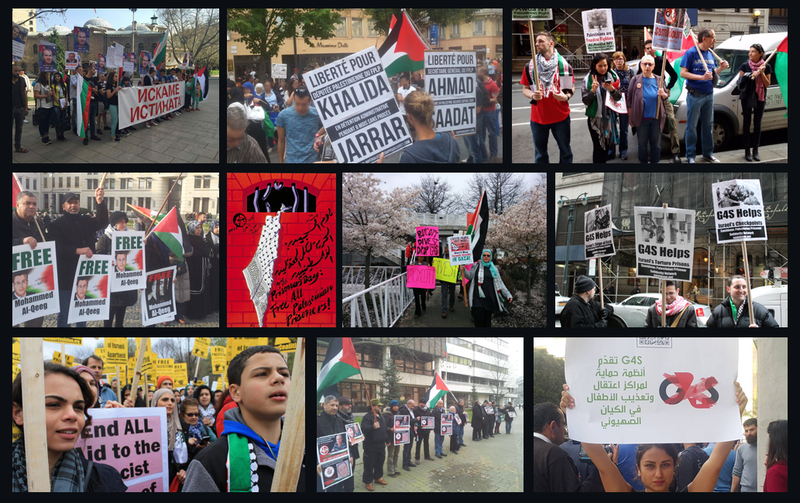 Samidoun in occupied Palestine will continue to hold a number of events and activities to build political consciousness and active support for the prisoners’ struggle. Former hunger striker Bilal Diab released: "Prisoners' strongest weapon is their will"